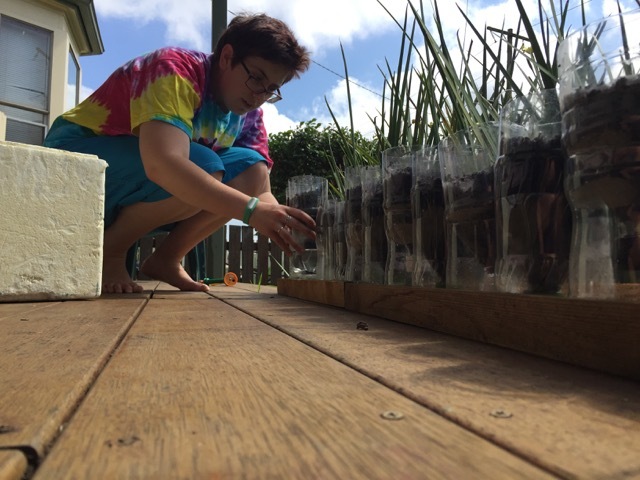 I’ve been reading a lot about sustainable gardening and how to recycle regular household items in the garden. 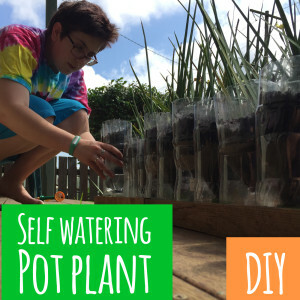 When I discovered that you can create self-watering pot plants out of old soft drink bottles, I was excited to give it a go. 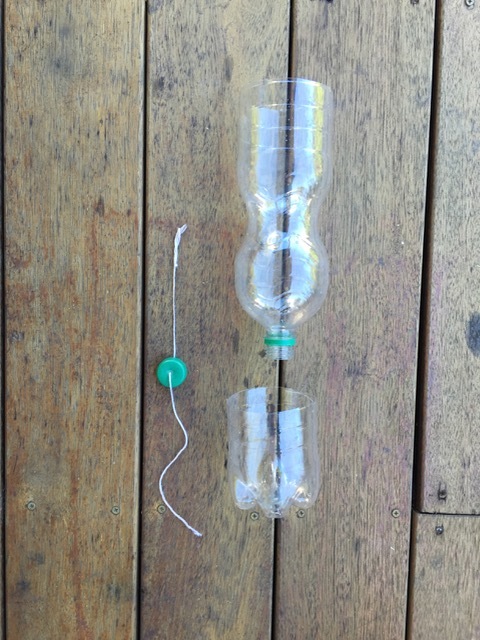 Gather your soft drink bottle and cut piece of cotton. 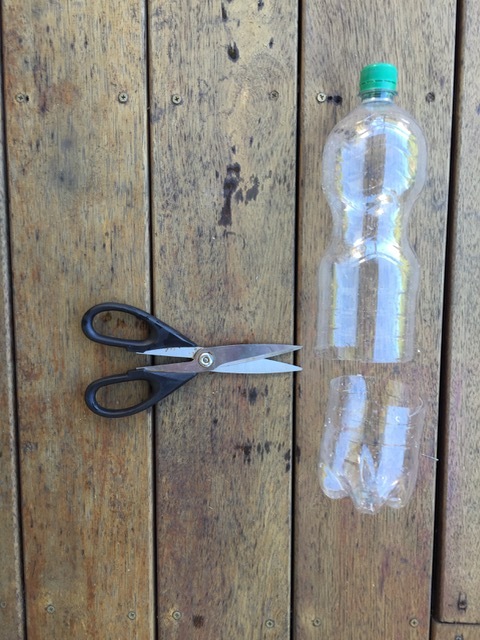 Cut your bottle in half. 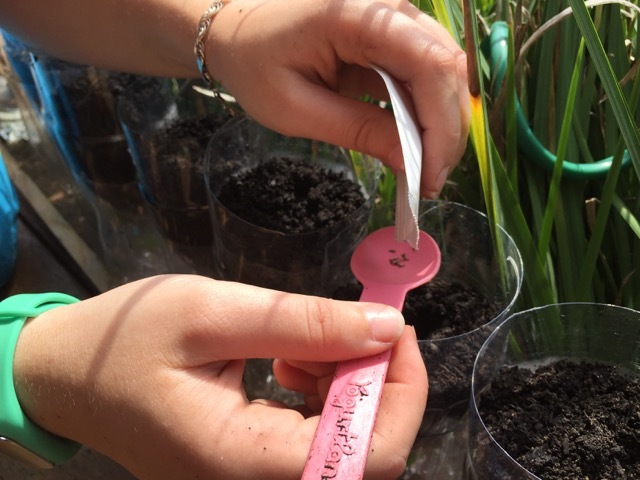 The half with the bottle cap will be filled with soil so be mindful of not cutting it too much larger. Use a hammer and nail to tap a hole in the lid. 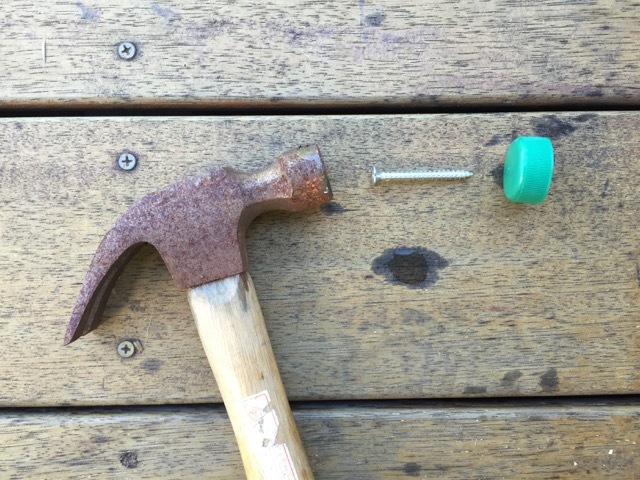 Take the nail out when there is a small hole all the way through. Thread your cotton through the hold in the lid. You many use a threading needle to help if needed. 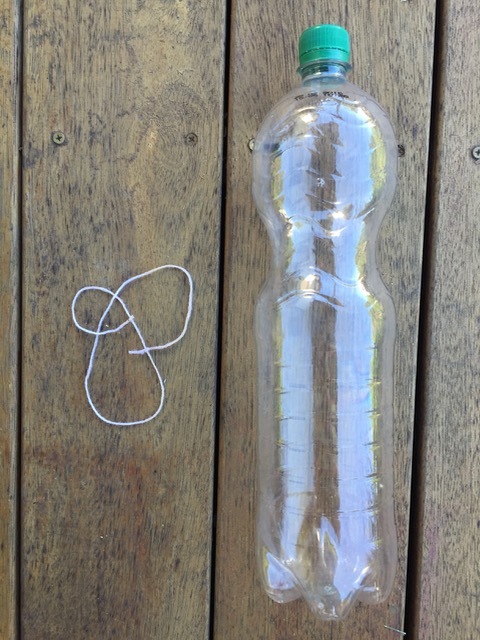 Tie a loop or knot inside of the bottle lid, to stop the string from coming through. Screw the lid back on and turn the bottle upside down and place on top of the base. 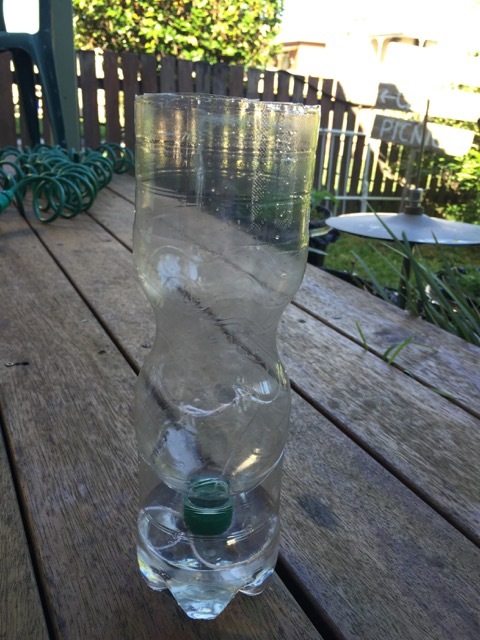 Fill the base with water (not higher than the bottle cap). 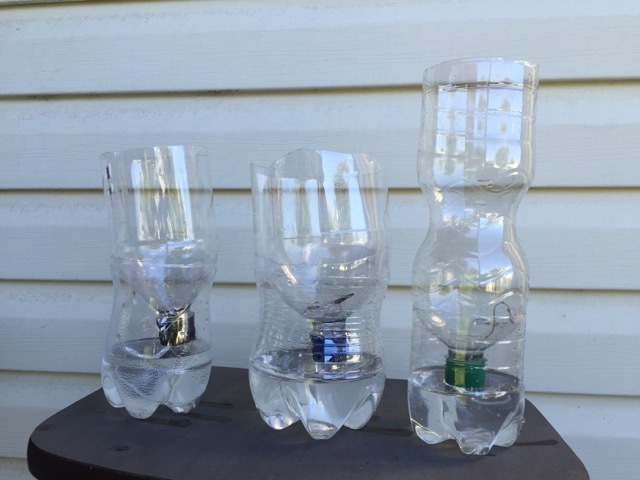 Here are three different bottle shapes with water and no soil! 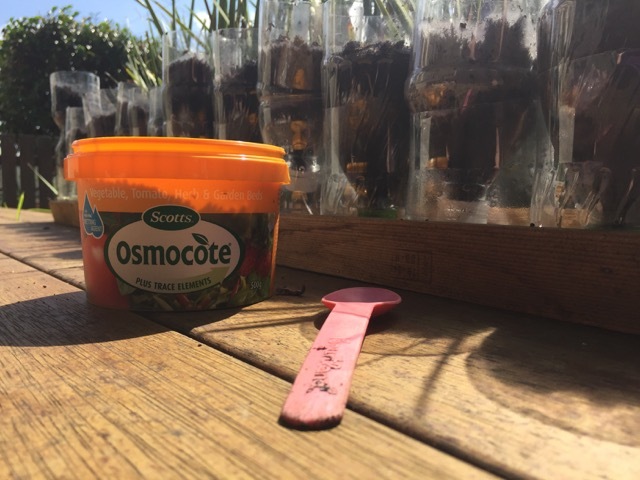 Put soil in the top of the bottles. 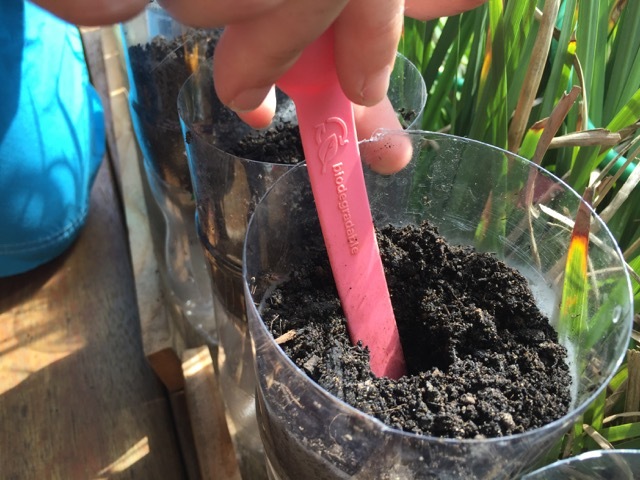 Add your seeds or plants as desired. I’m testing out growing lettuce from seeds in here. 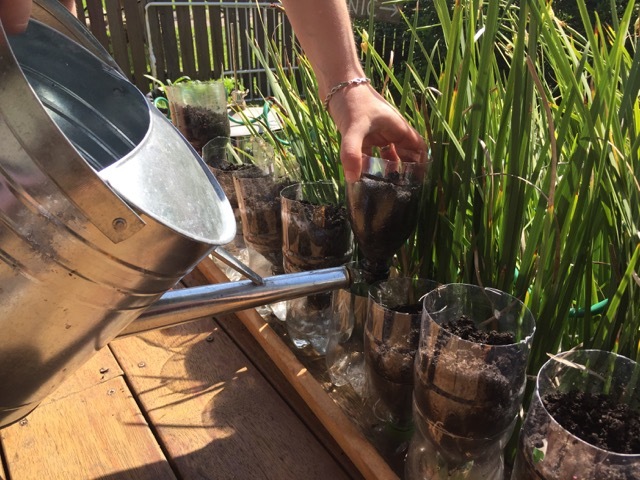 Keep an eye on when your self-watering pot plants need watering and top up the catchment container as required. I want a system for self watering in large pots.Around 3.5 feet tall and width by 3 feet side ways.Please share if you have any ideas about it.